The 5th of November is usually a day where people go and buy some sticks of colourful delight and light them of fire so they can look up at the sky being ignited for about five seconds. Since I've never really relished in seeing fireworks go off in the sky (it hurts my neck and ears...I prefer to watch from a distance), Guy Fawkes might as well mean something else for me. On this day in 1913, my favourite actress, and generally my favourite person who ever walked this Earth, Vivien Leigh was born in Darjeeling, India. If you've seen either Gone with the Wind or A Streetcar Named Desire, you'll know just how amazing she was. If you haven't seen either of them, do Vivien a favour on what would have been your 99th birthday: get out from under your rock and see what you've been missing. While you're at it, check out Waterloo Bridge, one of my absolute favourite films, which you can find on YouTube. Honestly, you'll love me forever. -Vivien's real name was Vivian Mary Hartley. The last name in her stage name is the first name of her first husband Leigh Holman, who she married in 1932 at the age of 19. They had a child, Suzanne, in 1933. Vivien divorced Holman in 1940 so she could marry Laurence Olivier, whom she met in 1935 when they starred together in a season of Romeo and Juliet on stage. At that time, Olivier was married to Jill Esmond, who was also pregnant with their son, Tarquin. 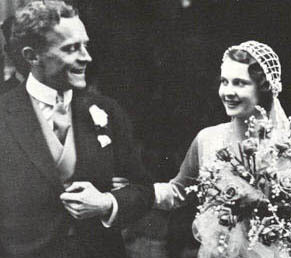 Both Holman and Esmond granted their respective spouses a divorce in 1940 and Vivien and Laurence married. They would divorce in 1960, due to both Vivien's mental illness and the fact that Laurence was having an affair with Joan Plowright. -When she was at school, future actress Maureen O'Sullivan (probably best known for her involvement in the Tarzan films) asked Vivien what she wanted to be when she grew up. Vivien replied "an actress...a great actress." -It is all because of Laurence Olivier that she got the role of Scarlett O'Hara in Gone with the Wind. As you probably know, producer David O. Selznick poured about $50,000 into his three year search for his perfect Scarlett. Vivien literally came in at the last minute. Originally, Vivien had wanted to star opposite Laurence in Wuthering Heights as Cathy, but the producers were set on Merle Oberon. They offered Vivien the role of Isabella, but she declined it. When it came time for Laurence to shoot it, Vivien missed Laurence terribly so she went to America to be with him. In the lead up to finding his Scarlett, David O. Selznick asked the public to vote for their ideal Scarlett. The most votes went to people like Bette Davis, Katharine Hepburn and Barbara Stanwyck, but one guy from New Zealand sent in a vote for Vivien. Yeah, us NZers have good taste. That lone NZ vote didn't exactly do wonders, and Selznick said himself that he had "no interest in Vivien Leigh" when her name was put forward again in 1938. When Vivien came to America, Bette Davis had dropped out of contention as she played a similar character in 1938's Jezebel (which also won her an Oscar), and Paulette Godard was the main contender. Vivien signed with Laurence's boss, Myron Selznick, who was also David Selznick's brother. He took her onto the set of Gone with the Wind, where they were already filming the 'Burning of Atlanta' scene (using stunt double for the unnamed Scarlett and Clark Gable as Rhett) on December 10th. Myron introduced Vivien to his brother by saying "Hey Genius. Meet your Scarlett O'Hara". She was instantly given a screen test. The only actresses left in the race were Vivien, Joan Bennett, Jean Arthur and Paulette Godard. Bennett and Arthur were denied, leaving Godard and Leigh. They were given Technicolour screen tests, which sealed the deal for Vivien. Another factor in Godard's failure to get the role was about her relationship with Charlie Chaplin, as no-one was really sure about how that was going down. Vivien was given the part on Christmas day, which was a great shock to her, as she thought that Katharine Hepburn had got the part. -Waterloo Bridge was her favourite film that she'd done. -In 1944, Vivien started filming Caesar and Cleopatra. She was also pregnant at the time. While filming, she slipped and fell heavily, resulting in a miscarriage two days later. It was here when she contracted tuberculosis and her manic-depression started developing. -One of the reasons I love Vivien so much is because she loved NZ. In her own words: "This must be the most subdued place in the world. The quiet is unearthly...Nevertheless much more couth and better mannered all round than the Australians and a much better audience." -In 1949, she was introduced to the role of Blanche DuBois in A Streetcar Named Desire, as she took the role for a London stage production. The show ran for 326 performances, and clearly took its toll on Vivien as she'd often be seen shaking and distraught at the end of it, but she received rave reviews for her performance. It wasn't too long before a film adaptation was in the works. Marlon Brando, Kim Hunter and Karl Malden were all a part of the stage production in New York, with Jessica Tandy playing Blanche. Kazan and writer Tennessee Williams favoured Vivien, so she was ultimately cast in the role. The role won her a second Oscar. -She was going to star in Elephant Walk, which sent her to Ceylon, India. There, she started an affair with her co-star Peter Finch. She also suffered a mental breakdown, which resulted in her losing the role and being sent home. In one episode, she began reciting lines from A Streetcar Named Desire, and became so involved with that role again that when a nurse tried to calm her by saying "I know who you are, you're Scarlett O'Hara", she replied "I'm not Scarlett O'Hara! I'm Blanche DuBois!" She was deemed unfit to go back and finish Elephant Walk, so Elizabeth Taylor took the role. -Vivien suffered another miscarriage in 1960. This had a clear effect on her relationship with Laurence, and they divorced that year. 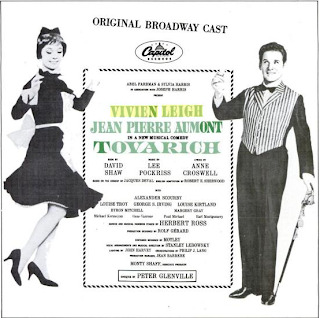 -In 1963, Vivien won a Tony award for her performance in Tovarich. This was quite a remarkable feat as Vivien had never needed to sing before, and her voice was failing because of her tuberculosis. -Vivien died on Friday July 7th, 1967, aged 53. She died of a severe tuberculosis attack. Many years later, Laurence Olivier was found watching one of Vivien's old films on TV. He had tears in his eyes, and he said "This, this was love. This was the real thing." 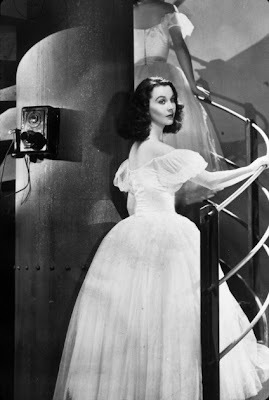 Vivien Leigh had a pretty tough life, which is why her story is so fascinating. Seriously, if you ever want to know any more about her (this was a pretty brief overview), I know just about everything there is to know. But for now, a huge Happy Birthday to the most beautiful, interesting, talented woman who ever lived (in my opinion). May she go on in our hearts forever. 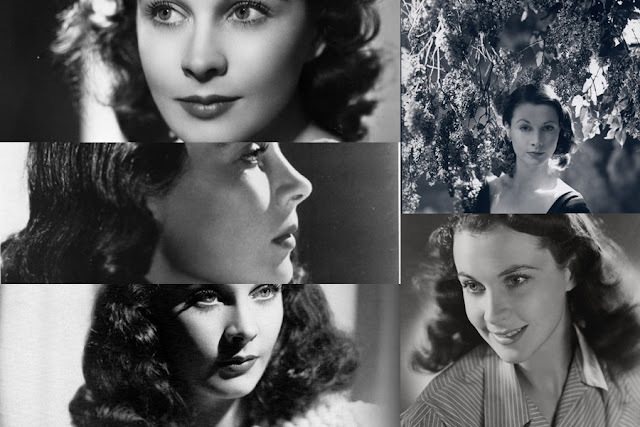 What do you think of Vivien Leigh? Got any favourite films/performances from her? Actors and actresses of the old had such romantically tragic lives. It's the same with classic Bollywood actresses. I didn't know Leigh was born in Darjeeling. Woah! I love her. I will get to Waterloo Bridge soon-ish. As much as I hate the movie, I thought she was fantastic as Scarlett. And her as Blanche is one of my favourite female performances of all time. Btw, I have found someone for her biopic- Rachel Weisz. Throughout Deep Blue Sea she kept reminding me of Leigh and it turns out Leigh actually played that character in a play, I think. Yeah, she moved when she was 6, though her parents stayed there until she left school. By the way, there is an exzellent book about Vivien Leigh by Kendra Bean that just came out. Well written with sensitivity, and the most beautiful photos. While I like and appreciate both Gone with the Wind and A Streetcar Named Desire, I don't love them. What I do know, is how beautiful and talented an actress Viven Leigh was, and I'll watch Waterloo Bridge very soon, when I have a better internet connection than where I currently am! Great post! You'd love Waterloo Bridge! Thanks! Nikhat said it best. Actors and actresses of the old had such romantically tragic lives. And Vivien was the living example of that. I've seen her in A Streetcar Named Desire, Gone with the Wind, That Hamilton Woman and Waterloo Bridge, the latter being my favorite film of hers. But I still feel like I need to see something else of hers. Which film that would be, I have no idea. She really was, which is a shame. Vivien was more prolific on stage than she was on screen, so it is a little hard to get into her films. Caesar and Cleopatra and Anna Karenina were very average, but she was beautiful, and Fire Over England was pretty good, mainly for Leigh and Olivier. Oh, and there's 21 Days, which also stars them, but I don't remember it all that well. They both hated that film though, for some reason. 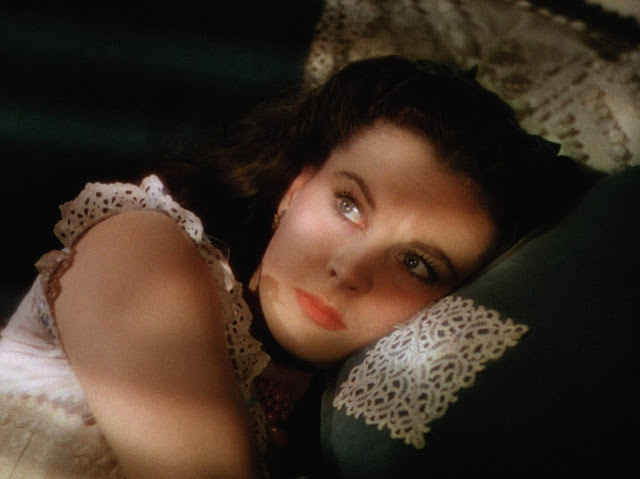 I really need to check out more of Vivien Leigh's work. I've only seen her in Gone with the Wind, A Streetcar Named Desire, and Ship of Fools. Loved her in all 3 films, so I'll have to (finally) see Waterloo Bridge soon. Ship of Fools is one I need to see, but I can't find it anywhere! There's barely any films to choose from, but Waterloo Bridge is definitely one of the best (after Streetcar and GWTW...just). Terrific article! I didn't know most of those, how sad that she had miscarriages and tuberkulosis. At the very least her dream to become a great actress came true! Thanks! I'm always glad to tell all of these stories. She did live quite a terrible life, but there were some silver linings! Vivien was very in love with Laurence and as you know was with him for two decades. I'm quite sure they had many memorable times together that they cherished. some of her life was tragic, but not all. She accomplished plenty in her 53 years.